The Reserve Bank is again flagging its lack of resourcing. Governor Adrian Orr says it can't afford to hire the additional 15 people its 52-person prudential supervision department (which oversees banks, non-bank deposit takers and insurers) needs. 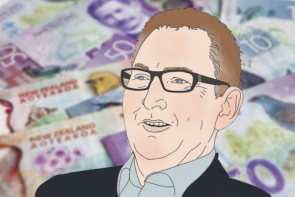 However Finance Minister Grant Robertson isn’t making promises the RBNZ's coffers will receive a boost, saying the matter will be addressed in Phase 2 of the Reserve Bank Act review currently underway. Presenting the RBNZ’s annual report to the Finance and Expenditure select committee on Wednesday, Orr explained how the Bank’s funding set-up is such that he essentially has to write a letter begging the Government for funding on the back of a cheque he sends it. The long-standing model caps the revenue the RBNZ can keep at a level specified in an agreement made with the Finance Minister every five years. Any revenue it makes above this has to be paid to the Crown. The RBNZ accordingly paid the Crown its third ever largest dividend of $430 million in the 2017/18 year. While a favourable exchange rate boosted its revenue in 2017/18, it still wasn’t able to get the manpower the IMF, in a 2017 review , warned it desperately needed. The RBNZ is three-and-a-half years into its current agreement. It is funded by bank deposits, government deposits and loans, bills, notes and coins it issues, and its net assets/equity. Deputy Governor Geoff Bascand, in a speech  delivered on November 13, acknowledged the RBNZ was keen to use the Reserve Bank Act review to secure additional funding. A spokeperson a few days later explained to interest.co.nz : "In short, we are a net contributor to Crown revenue rather than a cost, and we’ve asked if we can hang on to a little more of what we make in order to fund extra work." Orr in the select committee again pointed out the limitations of the five-yearly model, saying a “phenomenal” number of “unanticipated” events had happened in the last five years, and the same would be the case in the next five years. When asked by media, Robertson avoided commenting on the specifics of the RBNZ’s funding model, saying he would wait for the outcome of the Reserve Bank Act review. Orr in the select committee said under-resourcing would show up in a time of crisis, so now’s the time to get things sorted. He alluded to a lack of resource seeing the RBNZ prioritise its oversight of the big banks that affect the stability of the economy, over insurers. In fact, the RBNZ only has about 10 staff overseeing the more than 100 insurance companies it regulates. CBL Insurance was in November put in liquidation further to it failing to meet solvency conditions, breaching RBNZ directives and misreporting to the regulator on an ongoing basis. Its NZX-listed parent company, CBL Corporation, was put in voluntary administration and the trading of its shares was suspended in February. It had a market capitalisation of $747 million at the time. The RBNZ has commissioned an independent review of its handling of CBL Insurance. The terms of reference are due to be released soon. The Reserve Bank Act review also considers whether prudential regulation should remain within the RBNZ’s remit. The three options on the table are: an enhanced status quo, the formation of a new body to deal with prudential regulation similar to that in Australia, or the formation of a new body to deal with both prudential and conduct regulation. The RBNZ’s funding model will be shaped by the design of its remit. Asked which model he preferred, Robertson said: “I wasn’t proposing any wholesale changes, but we wanted people to make any arguments that they would about separating out different powers. Asked the same question, National’s finance spokesperson, Amy Adams, said she hadn’t formed a view yet. Adams and National’s associate finance spokesperson, Andrew Bayly, did most the heavy lifting probing Orr in the committee on the RBNZ’s resourcing.